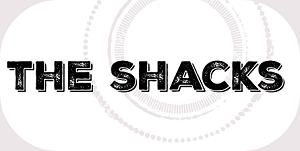 The Shacks (IW) Ltd (“we”) are committed to protecting and respecting your privacy. For the purpose of the Data Protection Act 1998 (the Act), the data controller is [The Shacks (IW) Ltd of [21 Steephill Court RD, Ventnor, Isle of Wight, PO38 1UH]. · Information we receive from other sources. We may receive information about you if you use any of the other websites we operate or the other services we provide. [In this case we will have informed you when we collected that data that it may be shared internally and combined with data collected on this site.] We are also working closely with third parties (including, for example, business partners, sub-contractors in technical, payment and delivery services, advertising networks, analytics providers, search information providers, credit reference agencies) and may receive information about you from them. · Business partners, suppliers and sub-contractors for the performance of any contract we enter into with [them or] you. · If [Vintage Vacations Ltd] or substantially all of its assets are acquired by a third party, in which case personal data held by it about its customers will be one of the transferred assets.